OMG great idea, I definitely will be making these pouches for Christmas. Tfs. What a fun way to present some yummy hot chocolate. 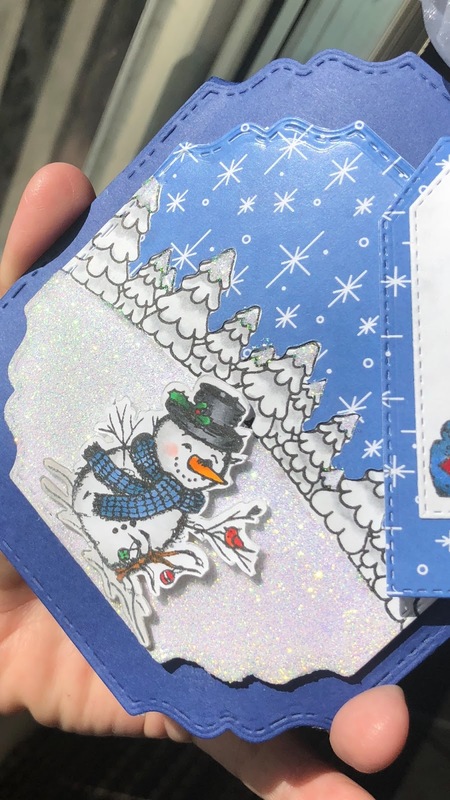 Such a darling pouch and card! I love the contour of the dies you used for the pouch and that adorable snowman! 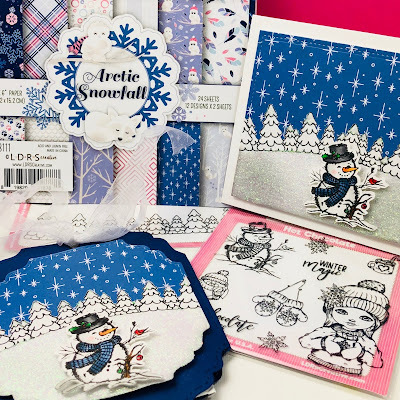 Awesome Tree Line stamp and papers to make this pretty ensemble! Great project! Love your snowman projects-both so cute with the paper! What an adorable and beautiful card and cocoa pouch! Lovely designs and the sparkle makes me smile. It would make such a fantastic gift. Really enjoyed watching your video and the techniques you used will definitely try it out myself the results are lovely. 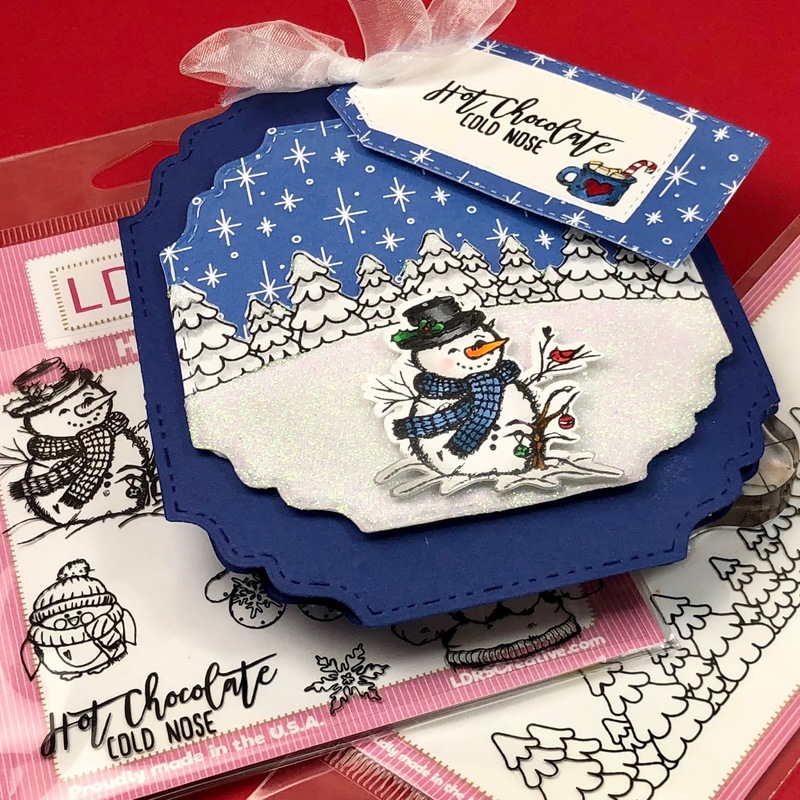 The pouch is such a cute way to gift a treat just love it and all the sparkles 😍 beautiful project. What a creative idea! I love the colors and the cute little snowman! This whole release is just WONDERFUL! 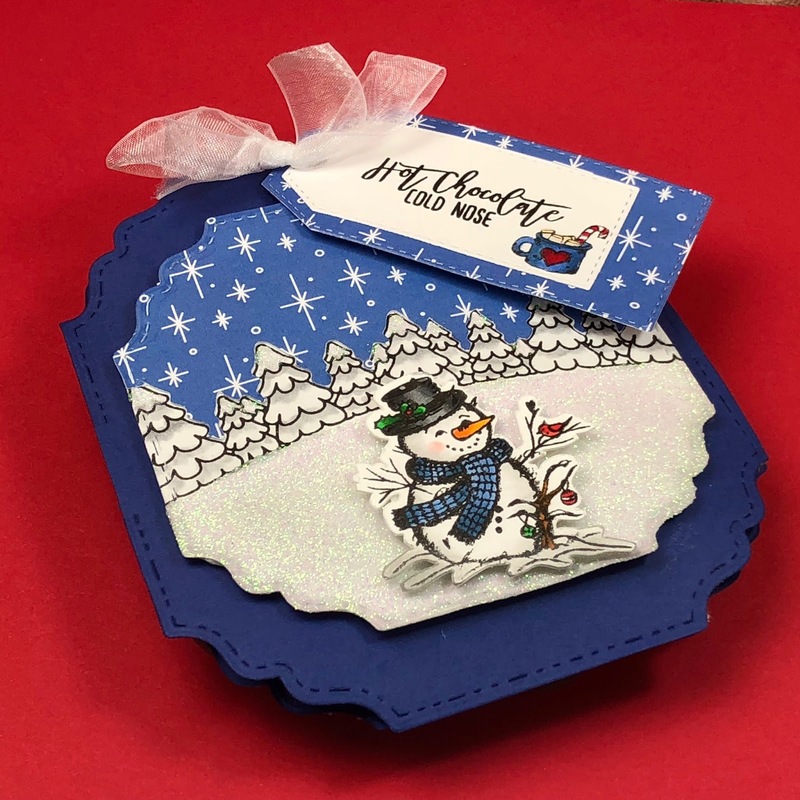 Fantastic card and pouch! 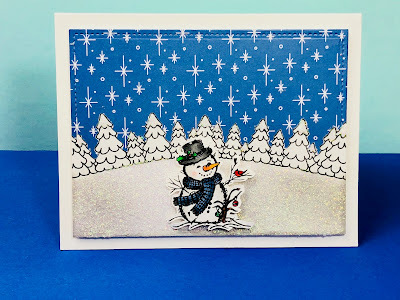 I love how you used the Nuvo Shimmer Paste for your snow scene it just sparkles so beautifully! 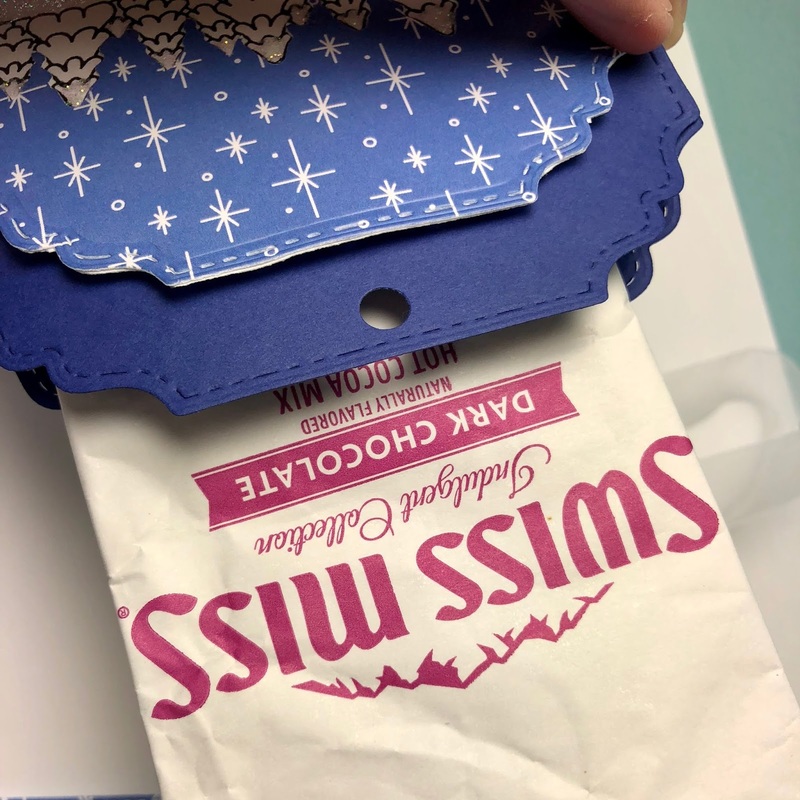 Cute hot chocolate pouch and matching card.